The U.S. economy remains robust as favourable fundamentals continue to support near-term expansion. As widely anticipated, the U.S. Fed raised the Fed Funds rate by 25 bps in the 26 September Federal Open Market Committee meeting, and signalled another rate hike by end of this year. In Europe, economic sentiment and confidence indicators in both Eurozone and the U.K. dip in September, signalling less buoyant economic activities. 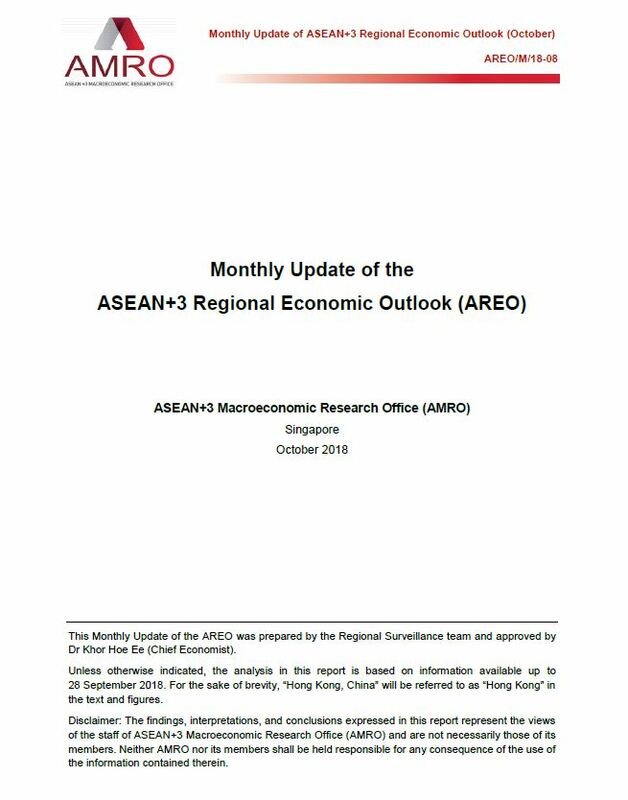 In the region, while baseline regional economic growth in 2018 remains unchanged at 5.4 percent, the uncertainty about the baseline growth trajectory in 2019 has increased. The region is also increasingly being tested with a sharper trade-off between financial stability and growth objective, amid the tightening global financial conditions. China’s economic activities are largely sustained for the rest of 2018, with some uncertainty over the 2019 outlook. In Japan, the favourable third-quarter outlook is likely to be sustained, as several major indicators have recorded further improvement. Other economies in the region, nevertheless, reported a moderation in PMI readings for September, in line with the softer outlook for the third quarter of 2018. In tandem with the softer global manufacturing Purchasing Managers Index (PMI) readings, the region saw a moderate pace of expansion in factory output, with new export orders suggesting some weakness ahead. Foreign portfolio capital flows in regional emerging markets (EMs), meanwhile, turned to net outflows in September 2018, as uncertainties in other EM regions heightened, and risk aversion towards EM assets took hold following the turmoil in Turkey.